The watch with utility colors and features for the modern days. 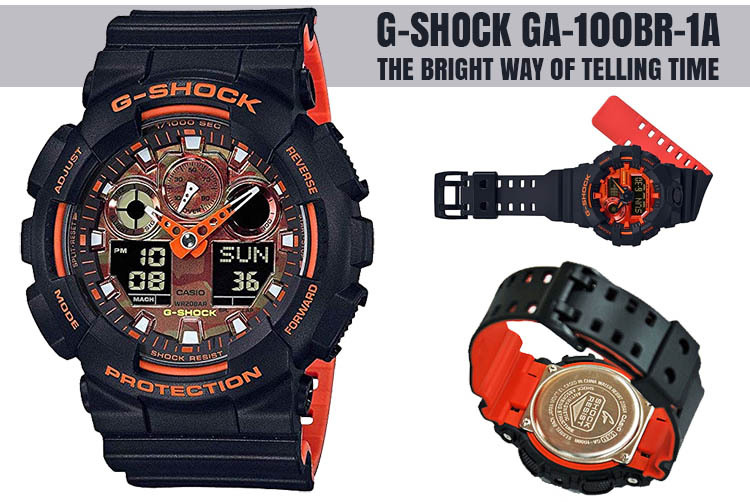 It’s the choice for the sports lover that is only willing to use the robust, nice looking and reliable G-Shock. 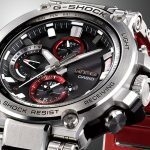 There’s no better way to say this, but when it comes to tough watches that handle a fall and long-time use, the Casio G-Shock watches are one of the top choices out there. 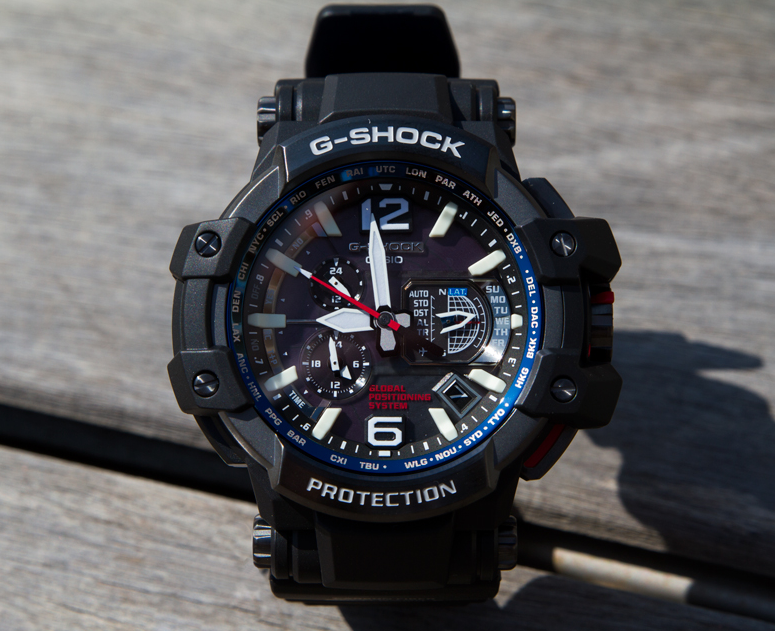 Designed to handle a straight impact and loaded with specific features that give their strength, the G-Shock watches are dependable and a sure buy for sure. 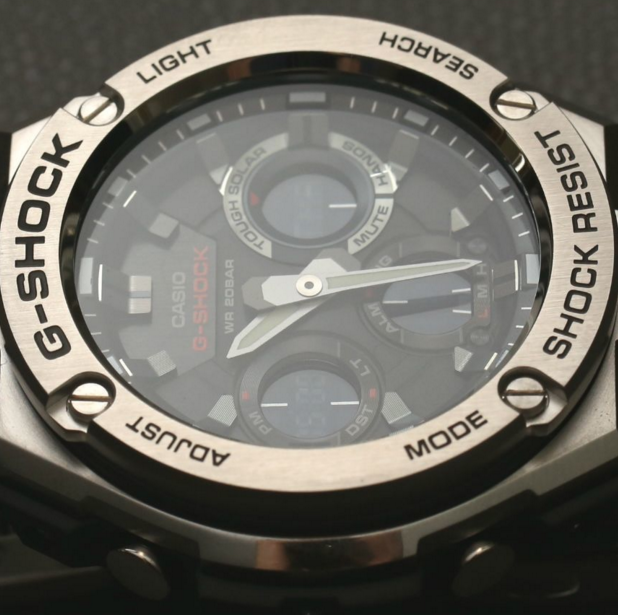 What are the standard specs for G-Shock watches? 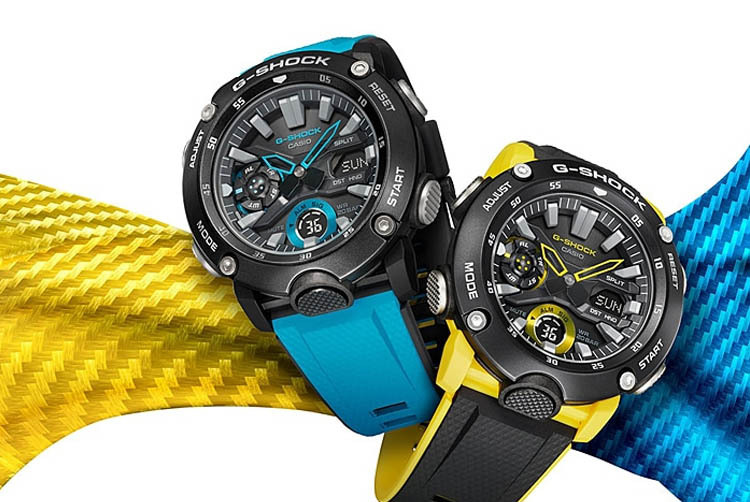 The G-Shock line is the result of the hard work and determination of one Casio engineer. Mr. Ibe was trying to create this rugged watch that could stand a fall and some water splashes as well. 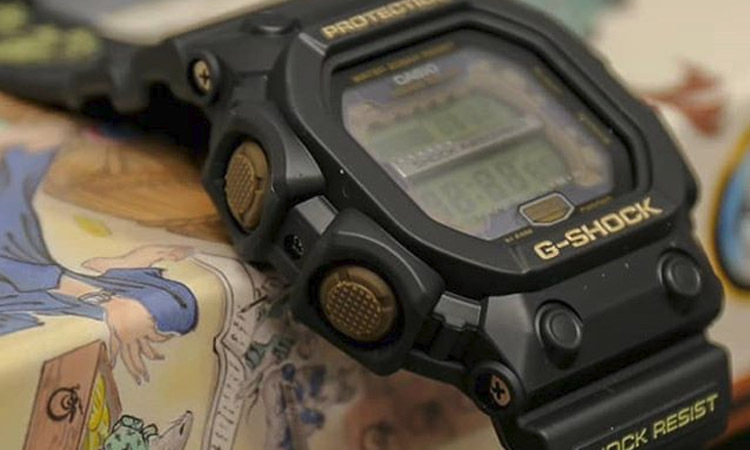 A couple of decades ago, this Casio engineer created the very first G-Shock model, but it took him a couple of hundreds of handmade samples to get there. 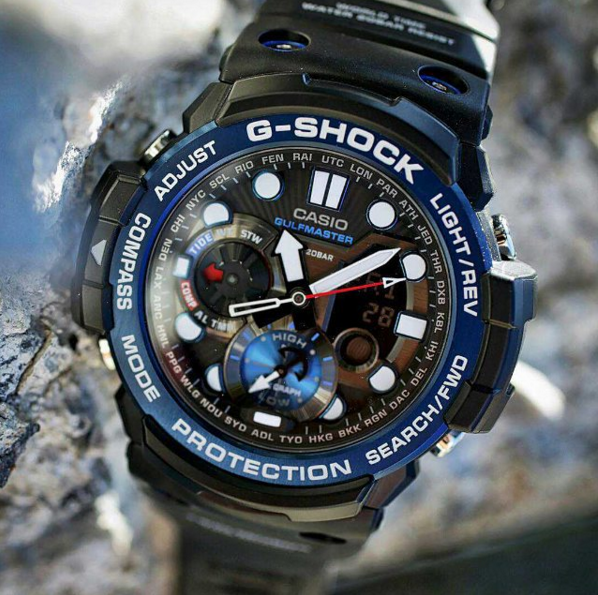 Some functions are fundamental for the ruggedness that G-Shock watches present. The urethane protecting the inner parts or the floating timekeeping modules inside the structure is essential. Casio G-Squad- what makes it unique? 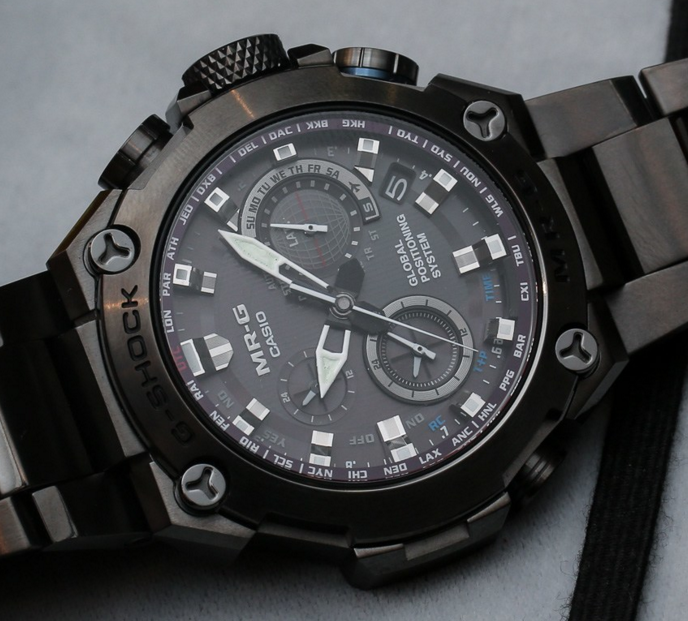 If you’re a watches aficionado, you may remember the GA-700UC series. It was part of the military-inspired Utility Color Collection, and the first model did impress with the extra-large analog-digital design. The beautiful looking designs and the utility colors of the series recommend the watches for both every day and training occasions. 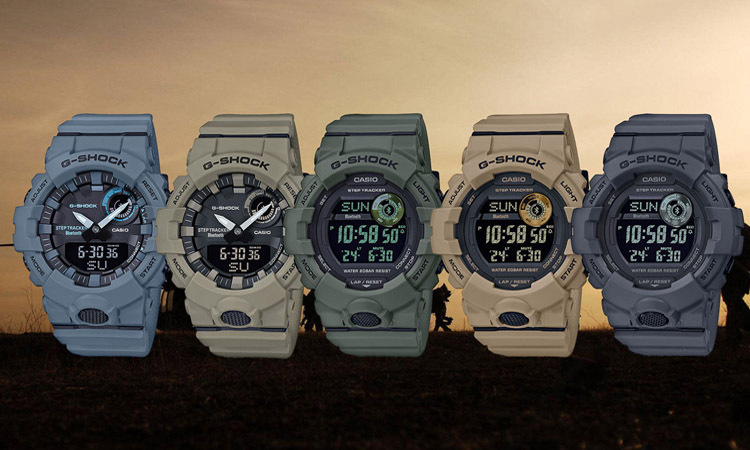 The new series includes five mid-size G-Squad watches, including two analog-digital GBA-800 and three digital GBD-800 models. The GBD-800 series come with Bluetooth mobile link and Step Tracker functions. 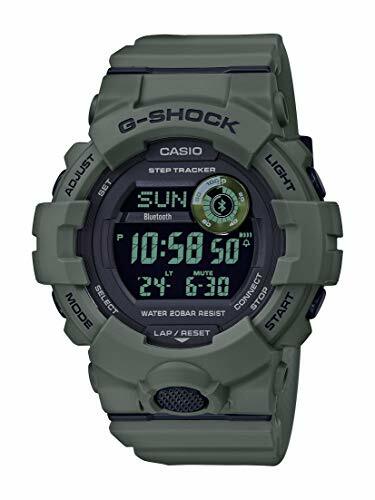 The watches within the line come with matte utility colors of green, blue, brown and gray and are compatible with military, service or street fashion use. 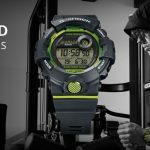 The fitness-oriented models hit the market as the most affordable G-Shock watches that come with Bluetooth and phone finder functions. The special features include the pedometer, the stopwatch with target time notification, the interval timers (you may set up to five individual timers and repeat up to 20 times), and a 200-record lap memory. 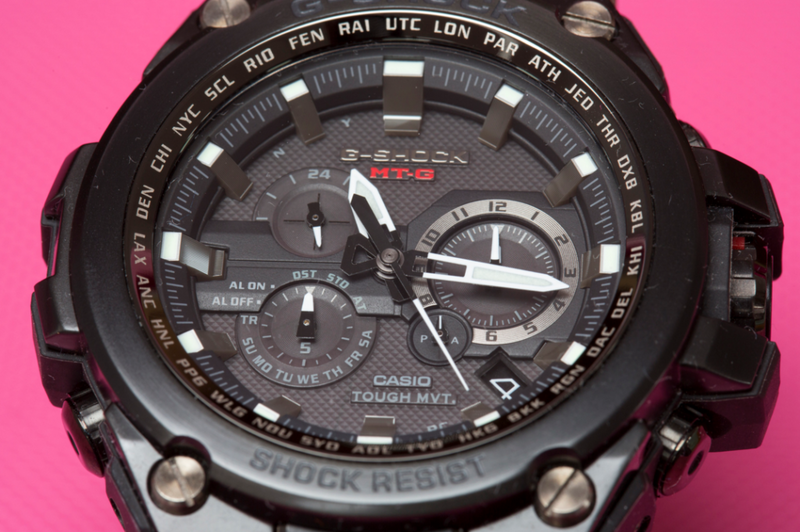 Five alarms, auto Super Illuminator, LED light, and dual time is also on the list of standard features. This new Utility Color series is going to hit the market in Japan in March 2019. All of the five models are going to be launched in other Asian markets. As for the GBA 800UC models, they come with a list price of $120USD each, whereas the GBD800UC models come with a list price of $99USD each. What are the specs for GBD-800UC-3? Just like the other models within the series, the GBD-800UC-3 works with the G-Shock connected phone app, ensuring access to several functions that improve your workout experience. The watch comes with daily health and fitness support functions, including a 3-axis accelerometer that records your step counts. The Multi-Timer function is going to help you design up to 20 timer combinations of five timers each, memory for up to 200 lap records and step goal progress graphic. The calorie calculation, the Step Count Log with five exercise intensity levels are also counting for better workout performance. When using the watch, you’re going to be able to plan and record your workouts, increasing their efficiency and making the experience a lot more pleasant. The app-based auto time setting correction provides reliability for the timekeeping. The Auto LED light helps you with your workout in dim light conditions. The watch also comes with LED backlight (Super Illuminator), selectable illumination duration (you may go with 1.5 or 3 seconds), Afterglow and auto light switch. The case/bezel material is resin, and so it’s for the band. 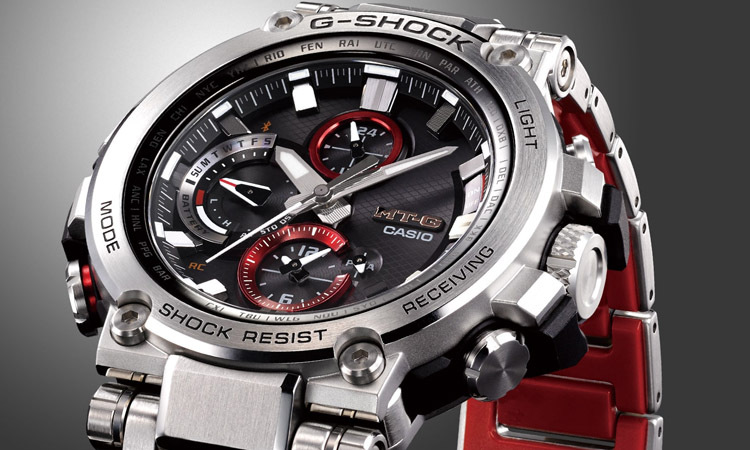 The watch presents shock resistance and 200-meter water resistance. The mineral glass increases its ruggedness. Thanks to its Power Saving function, the watch is going to get into the sleep state after a specific amount of time of non-activity. 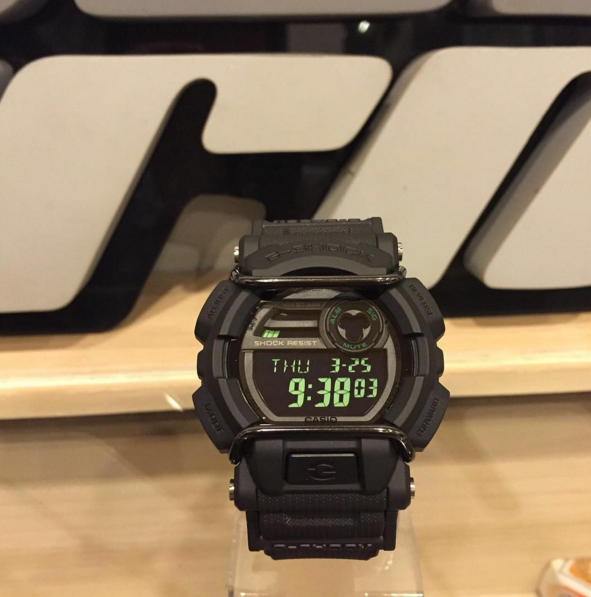 The list of functions also includes Dual time (home time swapping), 1/100-second stopwatch, and countdown timer. The Target Time allows you to set up to ten Target Time settings and you may store up to 200 records (measurement start a month, date, lap/split times). The watch also includes the Auto-repeat function (the number of repeats is from 1 to 20) and auto-start function. You can set up to 5 daily alarms. The watch has a button operation tone on/off and hourly time signal, but they’re quite subtle. The 12/24 hour format and the full auto-calendar (to the year 2099) are also on the list of functions. Let’s not forget the Phone finder function which is becoming more and more popular among the users. 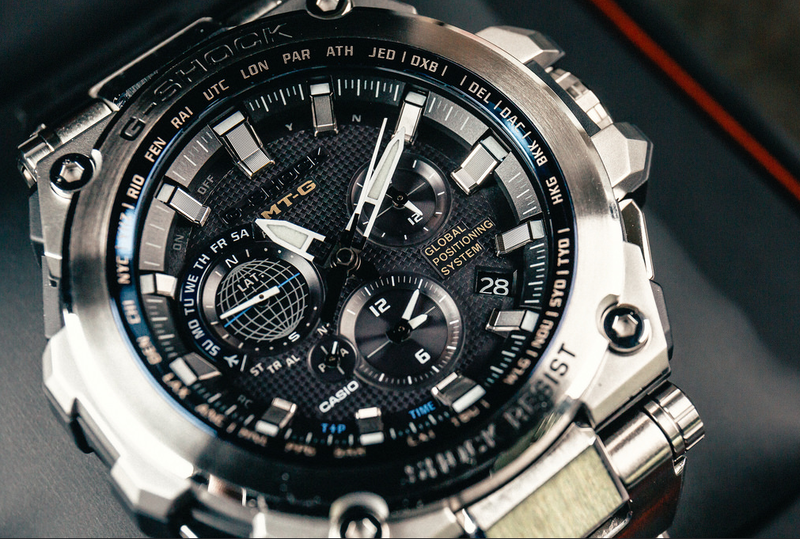 The precision is standard for the G-Shock watches (+/- 15 seconds per month, with no mobile link function), whereas the timekeeping is regular: hour, minute, second, pm, month, date, and day. The battery life is around three years on CR2025 type. When it comes to the build, we notice the back wings on the inside of the bands connecting to the case. A new band ring shape is going to reduce the risk for sliding, and the band comes with more holes for better adjustment. The fit is comfortable thanks to the fine adjustments you can make to the band size. 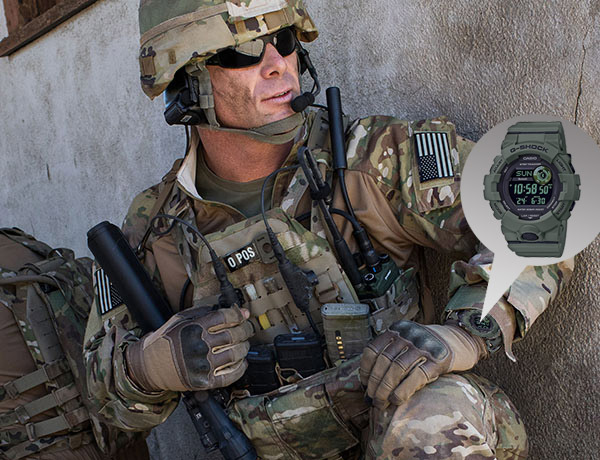 No matter if you’re in the military or not, if you’re interested into getting a subtle, rugged and fitness-oriented watch that you can use with your phone too, the GBD-800UC-3 is always a good choice. The matte color and the impressive list of features make the fitness lover happy, whereas the sturdy build and profile recommend it for the long time use.